my kid 1 year old and i would like her to leare. I love that it is a personalized puzzle for my 4 year old! Bought this for my Granddaughter who is 3 yrs. old and in daycare and is starting to learn letters/alphabet and the fact that it's wooden. This looks like a great travel toy for our grandson! 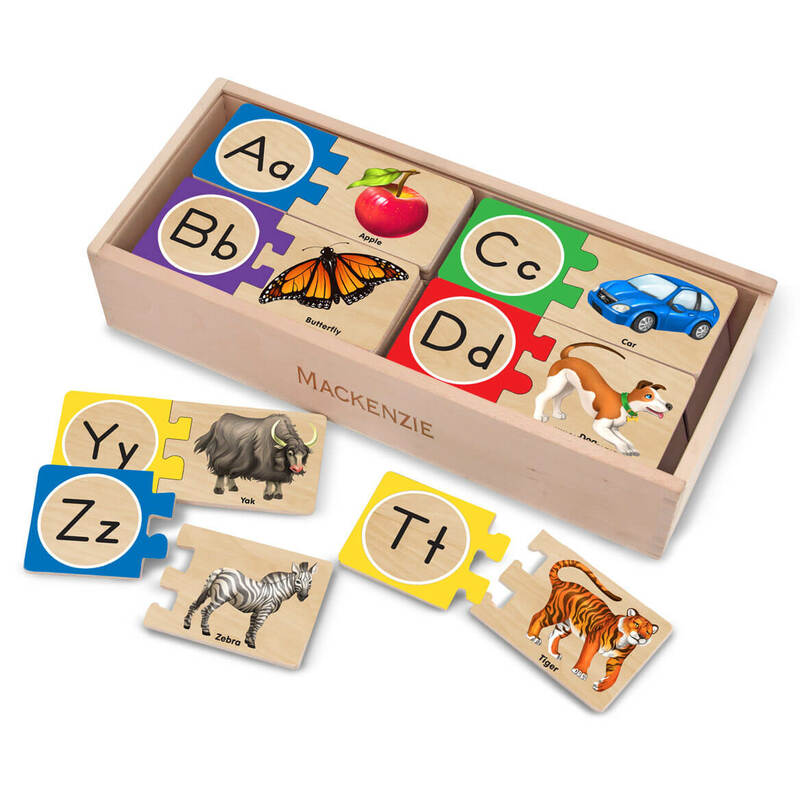 We often visit his great grandparents at their apartments, and this will be a fun, educational toy to take along. Looking for more educational, fun toys for my grandson for Christmas instead of just a bunch of toys.